If you give good advice, it will never be remembered. If you give bad advice, it will never be forgotten. 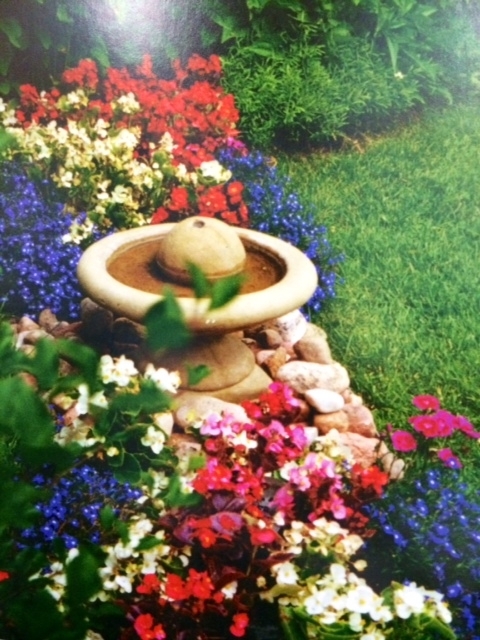 A small fountain among the flowers. The ornaments in the garden should be a reflection of your own unique taste. The correct placement of urns, fountains, or statues can transform an ordinary area into a conversation piece. Unsuitable, pretentious objects look out of place in a small suburban garden; unwise and expensive mistakes might haunt you for years. Only death will relieve you of the obligation of having to view these regrettable choices every time you venture into the garden. Which is the garden ornament–the stone bench or its adorable canine companion? If possible, small children should not accompany you on these buying trips. Children have notoriously bad taste. Instead of the divine container you originally set out to buy, you might be inveigled into purchasing a carload of grotesque gnomes, pink flamingos, or other kitschy knick-knacks. Friends can also give wrong advice. You might find yourself gazing onto your small garden at a massive stone lion’s head, or a fountain more suitable for the Palace of Versailles. On that note, avoid friends who use the word “cute” to describe hideous objects. This is a word appropriate only for babies, puppies, or newly hatched chicks. 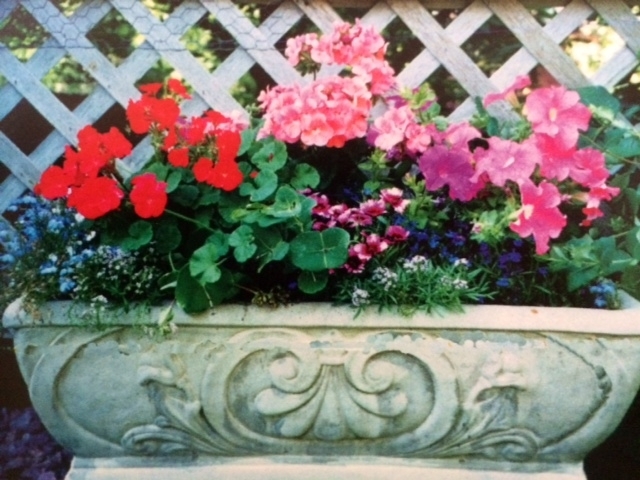 A stone trough with intricate designs is the perfect home to display your favorite flowers. Do you have any neighbors, friends, or family who refuse to take down hideous garden ornaments? Or have you ever made an impulsive purchase of a less-than-ideal garden arrangement? What is the worse ornament you’ve ever seen? I want to hear your garden horror stories in the comments below! I bought some tiki torches to please my kids. The backyard looked like an episode of Survivor. Ah well, lol, the kids loved it to the chagrin of some neighbors I’m sure.